Once you’ve set up your Sleep, it lets you track your sleep heart rate without requiring any action on your part. All you have to do is lay in bed: it will do the rest on its own. 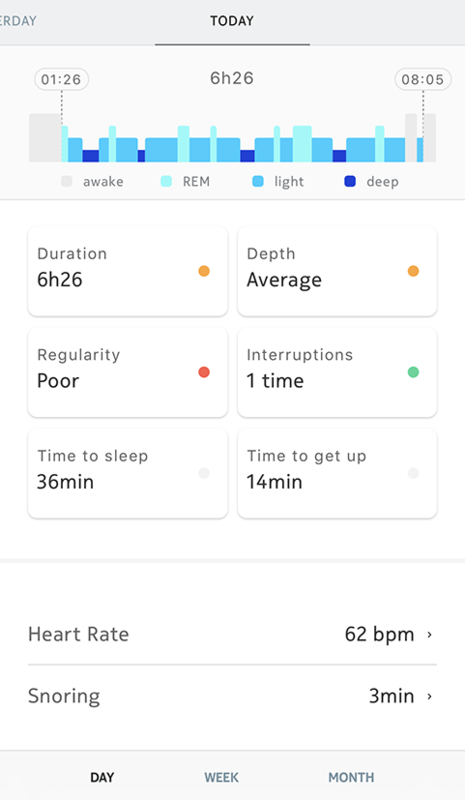 You can retrieve your night heart rate measurements collected by your Sleep in your Timeline or on your Dashboard in the Health Mate app. Your average sleep heart rate is displayed at the bottom of your sleep graph. Tap on Heart Rate to see the details of your night. Sleep is not a medical device and should not be used to diagnose, treat, cure, or prevent any medical conditions. 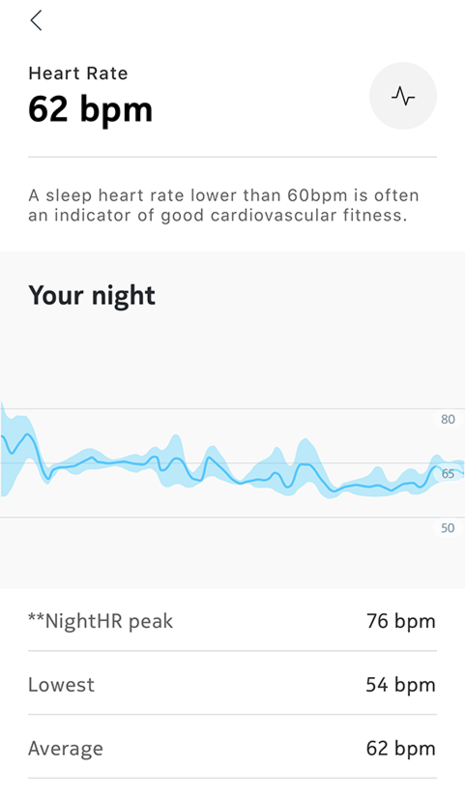 Sleep heart rate data does not sync to Apple Health.